Hanoi (VNA) – The rates of delayed and cancelled flights of domestic airlines in the first six months of 2017 were 12.2 percent and 0.5 percent, respectively, recording a year-on-year fall of 3.6 points and 0.1 points. 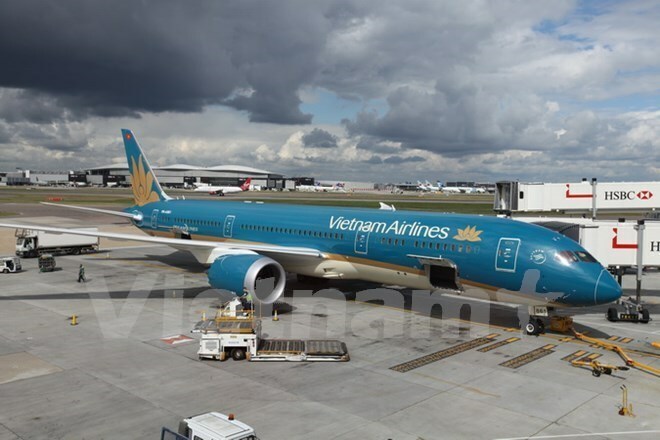 According to the Civil Aviation Administration of Vietnam (CAAV), the national flag carrier Vietnam Airlines’ proportion of delayed flights was 9.1 percent (down 6.2 points), followed by Vietjet Air 14.4 percent (down 2 points), and Jetstar Pacific 19.8 percent (down 0.8 points). In January-June, Vietnam Airlines, Vietjet Air, Jetstar Pacific and Vasco conducted approximately 137,600 flights, a year-on-year increase of 7.2 percent. In July alone, the four airlines carried out 25,657 flights, up 4.7 percent, including 21,736 on-time ones. Vasco boasted the highest on-time performance rate with 94.7 percent, followed by Jetstar Pacific 87.4 percent, Vietnam Airlines 85.4 percent, and Vietjet Air 82.2 percent. A total of 177 flights were cancelled in July, up 0.1 point against the same month last year.